Works with laptops and desktops with VGA cards that have TV-OUT function. 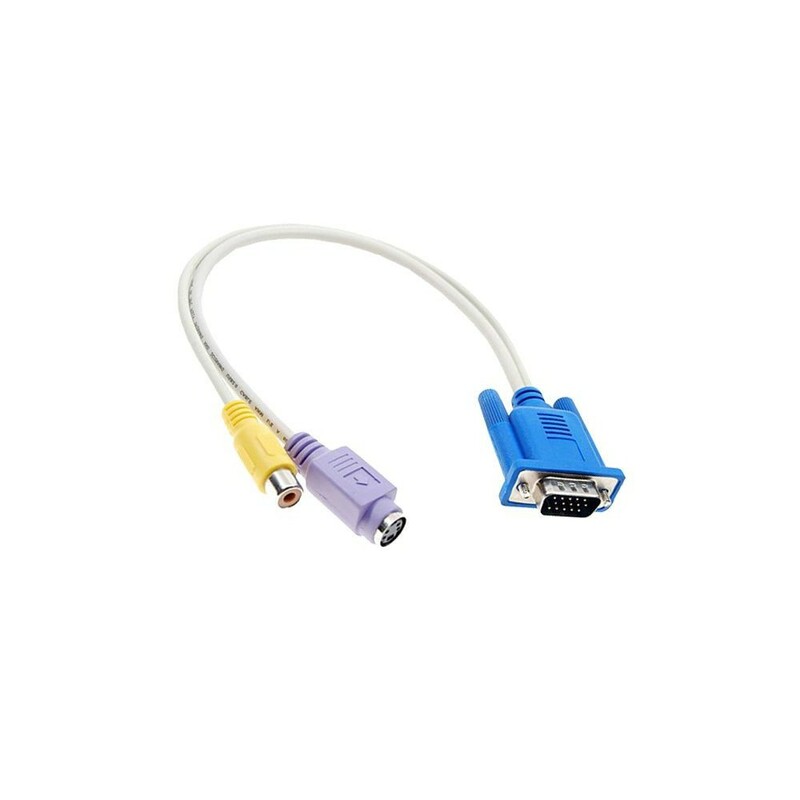 The VGA connector indicates your PC image on TV or projector. Play PC games onto a large screen or on your television. 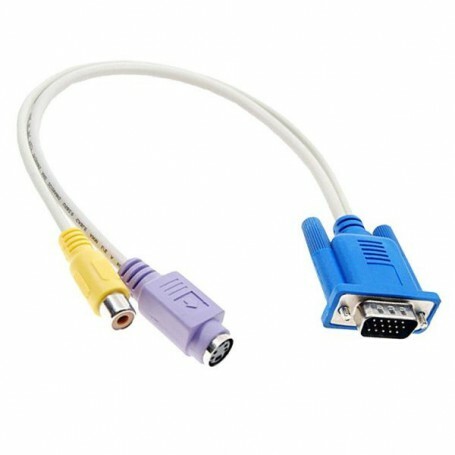 Easily connect computer to TV or a projector via the 15 pin D-sub output.